"online payroll for this century"
My experience with OnPay has been great so far. Full disclosure I have only been utilizing them for three months but I run payroll weekly for four different companies so I have had quite a bit of hands on time with the platform. The system is simple to use and easy to understand. After years with ADP and depending on what they claimed was a whole 'team' of individuals handling different aspects of our processing, I am able to knock it all out on my own using OnPay quickly and easily. There are a couple of UX items that could be improved upon that they are aware of and state are in the works for release. Do your research - make sure the platform works well with your needs and expectations. It has been great to have our hands directly on the raw processing steps while not having to worry about the complicated stuff like taxes. "#1 Payroll System On The Market"
Ease of use, price point and assistance from customer support. From the beginning the whole team has been extremely helpful. From giving free months to showing me their office + free tshirts, etc. You would think Onpay is charging a premium and not a couple dollars a month per user. When I went to their office, the founder of the company was more than happy to take time out of his day to speak with me. I can't say that for the other payroll companies out there. A few bugs but any time I noticed something the team fixed it immediately. No issues now. They don't issue checks to employees so if one of them doesn't have a bank account you have to write one manually for them. This could be an issue for some companies. We initially had one employee that had fraud on their account and temporarily didn't have a bank account but he does now. Everyone is on direct deposit. Payroll was required for us however, for a startup, budget is limited. It has allowed us to spend more in revenue producing items instead of operations, which in turn increases our ROI. They also offer assistance with tax reporting including tax credit assistance. I was skeptical at first but they've proven to be a valuable asset to our organization. Also they have a benefits team that has been extremely easy to work with. "Great solution among so many others!" I love the simplicity of onboarding a client (or simply adding a business to Onpay). It takes a minimal amount of information and time compared to other payroll software I've used, tried to use, or have researched. The ONLY issue I've run into, are some browser issues when onboarding client employees. On the positive side here, Onpay is one of the few payroll company's I have experienced that's really seeking to integrate this process effectively into their payroll. There's some bumps in the road here, but in my interaction with Onpay, they are very responsive and committed to making this a good experience. I highly recommend Onpay and can't say enough great things about them! I stumble upon Onpay through a facebook conversation just as I was looking for a solution to fit a need I had, which I mentioned 4-5 other payroll softwares couldn't handle at all or simply enough for me without mega support from the company. Onpay has far exceeded my expectations and I want to partner with them in anyway I can for my client's payroll needs and anyone else looking for a payroll software! The main reason I looked into Onpay, was the lack in other payroll software to map pay items to specific accounts within Quickbooks Online AND to a specific QBO class and location. 3 or 4 other payroll companies promised this functionality, but got stalled in the process because they did not really do this, or the process was so controlled and cumbersome, I ended up bailing before wasting any more of my time. I was cautious when another payroll company said they could do this, but after several conversations, demo and testing the product, Onpay has made this simple, functional and has provided incredible support along the way. There's a learning curve at first, but it was a short one thanks to their thoughtful approach to creating their software! "The best system for your payroll"
I started a business and my first payroll I had one employee. When I had to pay her, I had not figure out how I was going to pay her. I was using Quickbooks and found it so confusing, I figure there had to be something easier to use and I found OnPay right away. Payroll was due in 3 days. The whole site and the way it is set up is so easy to use. I talk about OnPay all the time to new and small business owners just like me. Look into the benefits and price that OnPay offers and compared it to other Payroll specialists. You will be surprise by the saving and the ease of use. I have been able to implement the sick pay that the city of Chicago put in place. Again, this was sudden and I had to make sure everyone was going to be able to get that benefit and I did not want to have to figure it out. OnPay has a section for that sort of benefit so it was easy to set up with the help of the staff at OnPay. I have used the service for almost 3 years, and would highly recommend it. My payroll differs every pay period, and OnPay makes it a basic fill in the blanks exercise. The portal is very easy to grasp from day one. And anytime I have questions, the online chat people are very responsive and knowledgeable, even if it is a highly technical payroll question (ie, it is not just tech people - they know payroll very well). They know their stuff. I have recommended them in the past to others and am happy to recommend them here. It is set up for employees, and only now are they making it useful for paying independent contractors. I wish that had been included a while ago. It does payroll, and it does it very well. Highly recommended. There is no way I could do payroll on my own without a service like this. I tested a few different services and read a few reviews, and found that OnPay was the easiest to handle by myself (knowing that I had little background knowledge on running payroll). "OnPay saves time and money"
I like the ease of being able to simply enter weekly employee times and OnPay literally takes care of everything else. I don't have to worry about quarterly or annual payroll tax reporting at all. I have never had any major issues and only had a few questions during setup and initial use due to being a novice when it came to running a payroll. I did a lot of research and found OnPay to be the most reasonable priced payroll company and they have always answered any questions within a few minutes. Saving huge amounts of time and stress filing tax and employee reports leaves me more time to build my business. Weekly pay reminders, and the interface is really easy to use. Onpay keeps track of the taxes and pays them on time. The set up was not real straight forward, but wasn't too hard. Tech support is super. I really like the software, and it sure beats doing it yourself, or paying an accountant to do it, especially if you have few employees (like myself). I really like that the state and federal taxes and medicare are all handled by OnPay. I just wouldn't want to spend time to figure all that out and keep track of it. They handle all the paperwork with regard to payroll and all the various deductions that must be taken. It saves me a bunch of time as a sole proprietor. My employee loves that OnPay can split the pay so that part goes into her savings account and part to her checking. She likes getting notification that she's been paid every Monday. "Truly awful customer service to a client - will never refer again"
OnPay started out great. The integration was easy and free though it took quite awhile and the instructions were not clear in some areas. Pricing is good. The interface is a little clunky, startup was confusing as they kept sending "ready to run payroll" messages even though they did not have the account complete. However today a client made a simple mistake and sent her payroll through twice. She emailed OnPay to notify them of the problem. The CSR Milton who called her back was horribly rude, unwilling to help and even went as far as to laugh at my client. I was the one that referred OnPay to them and I am now in the process of moving them to another payroll company immediately. I will also move my other clients away from OnPay and never refer them again. Customer service is truly terrible. Milton mocked my client during a business call - extremely unprofessional. Decent payroll service for good price but unfortunately the ugly customer service ruins any benefit they may provide. "Great payroll service for my small business"
We decided to go with OnPay after a negative experience with a PEO. We still wanted to find a solution with outside support for payroll and benefits, but we wanted the flexibility of customizing the product to fit our needs. I love the fee structure with OnPay. It's simple and clear with no hidden fees. I wish there was a PTO service for my employees to submit their requests and management approve which automatically integrated into the payroll system. It's manual for now, but I hear it might be in the works as a future service. I would absolutely recommend OnPay. I would suggest taking advantage of their support team. They are always helpful and do a great job of walking me through processes. Whether it was adding a payroll deduction category or setting up direct deposit for my employees, everything is clear and simple. OnPay is an extremely user friendly platform. I don't need a dedicated employee internally doing administrative payroll tasks. OnPay is very user-friendly and once I was set up, all I have to do is go in and click approve once every two weeks. I'm able to have a comprehensive payroll solution without any administrative work internally. They also helped us find a small business health insurance plan and I can do payroll deductions directly through their platform. Excellent customer service, always friendly and helpful whenever I call with questions, the software is extremely easy to use and it works great!I I have now been with Onpay for a number of years now. I could not be happier and I have no plans to leave. I was previously with another company that I paid to have my payroll processed with and I now work directly with Onpay who performs the exact same service for me at a fraction of the cost. I have no real complaints, but if I had to complain about something I guess it would be that I wish my direct deposit could be processed the next business day instead of two business days, However, this is not really a complaint because I just simply process my payroll one day earlier instead so it's not really an issue. Great company! great value and I would highly recommend you take a closer look at Onpay as you will be glad if you did. Great product! very friendly and knowledgeable customer service department, meets all my payroll needs. I love the fact that all my state and federal taxes are filed on time accurately and they guarantee this benefit. This takes a lot of pressure off of me and allows me to focus on my business. 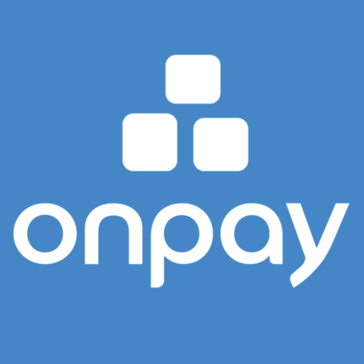 "Perfect Payroll Partner for Small Business"
OnPay's customer service is incredible. We just processed our first payroll and they reached out to me more than our previous provider had done in 6 months. They even caught an error I had made and offered to fix it for me. There were a couple of items that were not intuitive in the setup, but I was able to get help immediately. Mainly understanding how to add employees and where I needed to put the information for their direct deposit. If you are self-managing your payroll, OnPay is perfect for your small business. Managing my company's payroll when I know nothing about withholding, taxes, etc. They make it painlessly and so easy. The online system is very intuitive! I now have much more confidence in managing the payroll. "OnPay is a great asset to our company." On pay is so easy to you/user friendly. If I ever have any issues the online chat service is quick to respond and help. Everyone is always knowledgeable and helpful. The way it saves things automatically takes some getting use to. The only other issues we have had with it is the Quickbooks integration. It has been a hard to get that figured out at times. Setting up new accounts to map correctly doesn't always work properly and I have to go back into quickbooks and redo it manually. It is a great tool, I definitely recommend it for the money. OnPay makes payroll so fast and easy. We input the hours, new employees, direct deposit etc with ease. Saves time which save money. The direct deposit service is fantastic and a great value. "Perfect Payroll Solution for Small Businesses"
OnPay makes my job a lot easier. They do all the calculations, filings, payments and reporting for me, all for an incredibly reasonable monthly fee. When I have an issue or question their online chat function comes in very handy. My only complaint is that the notification emails they send to remind me of upcoming payruns don't always come on the exact right day because they don't take into consideration bank holidays. So I simply create calendar events as reminders. OnPay saves me time, headaches and money. The payrun inputting process is simple. They handle both state and federal tax filings for me and even issue W2s to my employees. Plus they provide an array of reports that make Workers' Comp audits, for example, quick and easy. "Overall excellent service and the software definitely meets my needs"
Whenever I have had a question, I have gotten prompt help and gotten things figured out. Some of the layout of menus has been slightly annoying and maybe overdone with how things "pop in and out" based on what you click on or are hovering over. Great for small business owners. Fairly simple but complete and great support. I'm a small business owner and having the tax aspects of payroll taken care of and paid directly and having all of the reports I need is a huge help. "Brilliantly Fast Setup, and Even Faster Payroll Runs"
OnPay was very easy to setup and their customer service has been quick to help with questions and a few customization needs. The interface is clean and easy to use, so much so that I get nervous I have forgotten something. It just can't be this easy to run payroll! There really aren't any features that I don't like. I would love to have a reminder of when payroll needs to be run but that is hardly a complaint. The connection between the bank and the OnPay system was easy on the OnPay side but the bank seemed a little on the wonky side. In the end, we got that settled. There are quite a few products out there for payroll, but OnPay was fast for us to setup and having everything cloud based allows us to manage payroll just about anywhere. We are a small startup that OnPay has allowed to setup a robust payroll system. The application works to scale. We hope to move into Benefits Administration in 2018. Our biggest challenge is that we are business guys working in craft beverages. We just don't know that much about HR and payroll but OnPay ensures we get our folks paid and our taxes filed on time. "Extremely good application with exceptional customer support"
I'm a small business and I've been with OnPay for 2 years now. I find the application to be very straight forward to use. But probably what is greatest about OnPay is their customer support. I have spoken to someone perhaps once but mostly, I can solve all my problems through an online chat experience. Highly recommend OnPay to any business. Nothing. I like everything about OnPay. The only thing was that I didn't use it much this year and still paid for it. It would be nice to be able to take a break and not lose all my data. Payroll for staff and contractors. OnPay may be an inexpensive payroll option, but the quality is first rate. As a bookkeeper I have use the service for several clients for several years. I love the reporting options - very flexible and easy to follow. And the customer service -both via phone and chat - is excellent! I've also been impressed with how much flexibility there is in the system. I really don't feel like I'm sacrificing ability or service. And in many ways I find the experience better than with ADP or Paychex, especially when problems arise they are solved quickly and correctly. I get frustrated sometimes finding information and using the website to do something new. I would recommend small businesses to compare not only the oars it the functionality of OnPay to other services. I have found it as good or better than more expensive options. OnPay is affordable for my clients and easy to run payroll with flexible reporting options. Staff response quickly. The software is easy to use. Staff and taxes are easy to manage. Their direct deposit feature makes processing payroll a breeze. For my staff that works the same hours every week, the self populating makes it simple. Not multiple options for check layout printing. Also the page styling changes often right when I get used to the last one, and sometimes contain a few bugs when this happens. Solving the human error from sending payroll accurately and on time. The ease of the website - it's so easy to use. There really isn't anything I dislike. Maybe that if I happen to split my run that taxes be one big total vs every time i complete a run but it isn't a big deal either. Our tax payments are being paid - I no longer have to double check to make sure. My last company (intuit) stopped paying them or would miss a quarter - I would get no notification. I realized payroll doesn't have to be scary. "Great experience with OnPay for my business"
Great customer service. Easy to use. Easy for my employees to enter in their information. Easy to understand website. Always someone available to speak with. Nothing. Everything has been great and all employees have been helpful. OnPay provides me with an easy way to pay my employees. It takes just a few minutes to process payment. They also have been very responsive in answering my questions, walking me through their navigation system, and have given me direct access to real people who inform me of how to make disability payments and workers comp requirements for my employees. OnPay has been an absolute life saver for my business! Everything is so easy and at your finger tips! My employees love the ability to access all of their info online and it makes for a lot less headaches! Thank you OnPay!!! Take the chance with this company. You will not be disappointed! OnPay solves the problem of many hours being spent on payroll! It also eliminates the need for time spent filing taxes! ONPAY has taken the complexity of payroll off of my hands and allows me to focus on veterinary medicine. They are always patient with me if I have any questions. One of the best decisions I have made since starting a business. There is nothing that I dislike about this service. My main objective is practicing veterinary medicine. ONPAY allows me to focus on what I do best. We researched many options before trying out OnPay. The online interface is so user friendly and the real live customer service has been so helpful. The cost was the most competitive. We'll likely never look into another program again. We recommend OnPay to all of our business colleagues. Thank you! There's nothing to dislike. I am only typing more comments, because it said that it was too short, but I have nothing negative to say. Taking this off our administrative plate, saves us time, and encourages us to make more money. "Excellent support and Knowledge Customer Service"
I appreciate the swiftness of responses. Responses are usually received within 24 hours during the weekdays or 1st thing Monday morning if questions were sent over the weekend. The first year/time of setting up taxes and payment was a bit confusing. I made a few errors due to lack of knowledge of my part and perhaps unfamiliarity of the interface. Onpay has simplified payroll. Once an employee and the taxes are set up, it is simple. The benefits are the time saved and knowing that it is done correctly. A secondary benefit is the help, if payroll was completed incorrectly. Easy to navigate, user friendly, easy on the eyes. Calculates taxes by state and allows me to see the days or hours they took off. I am going to implement the direct deposit feature soon. We don't have a need for paid time off as of yet. Not really anything. It is a really good program. I like all the features it has. Easy to use, almost 100% foolproof.Works well with small business. Great product!!!! Easier to do payroll. Helps keep errors out of the system. Keeps track of hours worked and makes it easier than to rely on employees keeping their own time. Keeps honesty around. Once the direct deposit is implemented things will be even easier. "Great for small company "
Easy to use and always available to help with questions we have. I have a small company and it is so nice to have help with payroll. I love that I do t have to worry about taxes or anything they take care of it all. And if I have any problems they are always there to help. I have been with Onpay over a year and haven’t found anything I don’t like yet. Do it they are very easy to work with. The tool feels somewhat manual at times. The need to change the check date manually when the pay date falls on a holiday can get tricky and lead to incorrect payroll timing. Just be careful with the check date and checking and unchecking the Active employee box. Use customer service (online chat) - they are a great group of people! I love that the tool is so reasonably priced. It helps me apply the savings in other areas in my business. Telephone and online chat customer service is awesome. They are fast, friendly, and knowledgeable. Nothing. There is nothing I'm unhappy about. They have been great for my company. The cost savings has been great and their customer support is over the top. I had terrible service issues with my last payroll company, PayChex, and that led me to OnPay. I never thought I would be happy about a payroll company but my last experience was so bad and OnPay has been so good that I actually enjoy doing my payroll. "Outstanding Service, Outstanding Product, Ease of Use"
Comprehensive software that is still visually appealing, and with such simplicity of use! Outstanding customer service. Growing with the needs / demands of consumer, so I feel we will grow with them and they will continue to meet our needs. Honestly, nothing to say in this regard at this time. Everything to do with Payroll, payroll taxes, SEP / IRA accounting, end of year tax info. Easy to use, excellent customer service when needed. Can't say enough about my positive experience. "I wish I'd found OnPay 5 years ago"
They automatically take care of our monthly payroll deposits and quarterly/annual filings as part of their fee. I've paid other payroll processing companies comparable fees and it did not include this service. For us as a small business, this help with cash flows because when I run a payroll, I know that we are paying the cost of payroll and our employer's share of the taxes right then and there in one draft, so we don't have the headache of having to come up with the taxes the following month or hassle with the filings. "Simple payroll processing and easy to use"
It is very easy to use and significantly unburdened our small business for dealing with taxing agencies. Including IRS. I also appreciate the OnPay's customer support. They seem to be always available by phone. I also really like the simplification of year-end statements (1099's and W2's) being handled by Onpay. Special tax situations such as child support were not obvious, but customer support guided me through set up quickly. Works well for us. However we are in Texas which does not have state tax. We only use OnPay for payroll. This was my first experience with payroll services and the team working with getting me started and follow-up support has been great! They've really made this an easy process. Its been a slight learning curve to get started. I wanted to have a more professional site for my employees to receive information on their pay stubs and compensation. I also wanted to automate the interaction with my accounting software to eliminate errors and reduce my data entry. My favorite service of Onpay would be their customer service. They are super quick to answer any phone call and get an answer to your questions quickly. I really do not have any issues with Onpay. They are great team and have not failed in any of the services i need. Without Onpay our company would be stressing about all the Tax Withholding's and State Taxes. It makes running payroll for our employees super fast and easy. Thank you Onpay!! The chat is a great feature which connects you with a live customer service member with minimal wait time. I have always been able to get the assistance I need in a timely manner. Inputting employee's hours has also been easy, and with the platform update, it has been even easier. Some reporting is not very straightforward and easy to get, but again, the chat is available and always helpful. Ease of use with entering payment information for hourly employees. "Easy, Awesome and Affordable Payroll System!" I really appreciate the staff at OnPay! They are always prompt when asked for assistance or clarification. I don't have any complaints! OnPay has always met my expectations! Give OnPay a try! You'll love it! I am not a payroll "specialist" and really appreciate the ease of the software and confidence in not having to worry about tax payments and reporting! This is my first experience owning a business and paying employees. All of it was greek to me. OnPay was and still is always patient, respectful, and most of all helpful. They stuck with me, lol with my many questions, sometimes the same ones. The price is the obvious like as well. The benefits are the amount of time I am saving each week. OnPay is an all-inclusive payroll system with great customer service. You can customize each employee's payroll and tax set up, process payroll, and employer taxes can be withdrawn and paid automatically through OnPay from bank account, with plenty of payroll tax reports available. The payroll and employer tax part of accounting is made much easier and simpler using OnPay. There is nothing I do not like about OnPay. It's well worth the monthly fee. OnPay handles our payroll for all employees and files and pays our employer taxes for us - the OnPay program and employees save us hours of work. "Easy to use website and tool"
Onpay is so simple and easy to use. The support staff made set up so simple. Our officers rotate on an annual basis, and payroll is easy to transition from officer to officer. There is really nothing I dislike about the OnPay system. Saving considerable time and resources from paying an outside accounting service to do payroll. "OnPay - Easy & Affordable"
The website is very easy to use and pretty much self explanatory, however if you need help either the on line chat or phone are always available and so far someone has been able to help me. I haven't found anything that i can actually say i dislike. I have only used the service for payroll to date. I am aware of other benefits i just don't use them. I like the monthly price and the ease of use. I would like to be able to input my actual check numbers on the manual checks. On Pay has made the weekly payroll quick and easy. I like the fact that they are taking care of all the required payroll reporting also. Having been an OnPay customer for an extended period of time, I am pleased to say the software product is straightforward, easily, and simple. Even better is their telephone support which is personable, professional, and competent at all times. They all do a great job! To date, I have not experienced any major problems. If and when I do, I will contact OnPay and I am certain they will address it correctly. I am not having any business problems with OnPay at this time. They are so personable and their customer service is the best! They do an excellent job and save my clients money at the same time. Every new bookkeeping client I work with - I recommend using On-Pay. "As good as the major services"
Customer support has in general been excellent. Phone support staff has been very knowledgeable. There is typically a minute or two wait on hold to talk to someone, which I think is perfectly acceptable. On screen explanations are sometimes unclear and there is little to no contextual help. This has been a problem a few times for us with handling payroll deductions (e.g., pension and health) and PTO rules. Lower cost and better data that ADP. "efficient, easy to use, helpful." affordable, easy to use, and helpful support that speaks English I can understand. ONPAY has a great interface that allows complete control over our payroll, but they also offer great service to help you get all the details right for your payroll needs. Plus the pricing is very reasonable. Some of the exports to our accounting package (Sage) didn’t work properly without some help. It takes about 5 minutes to do payroll and they take care of taxes and w-2's etc. Very reasonable cost. Nothing so far. This site is so easy to use and the customer support is second to none. My payroll is taken care of completely. It is ease of mind for me. "Great payroll Provider with one bad experience"
Some of the design is a bit inefficient. You have to click through a lot of boxes to set up multiple employees. I tried to refer a company to get the $100 amazon referral bonus and was denied because I had closed my account the other company had started using onpay. Felt cheated there. Being able to pay employees. Thanks for the kind words -- and the referral! We're really sorry you weren't happy with the way gift card fulfillment worked out. All the gift cards were sent out last week, so you should have received yours by now. If not, please let us know: hello@onpay.com. "Exactly what you’re looking for! " OnPay makes payroll incredibly easy! It’s exactly what I need. Quick, simple, and amazing customer support. Sometimes I can have problems understanding where things are, but the OnPay staff always helps me find what I need. Paying our unemployment insurance is so easy when OnPay does it for us! * We monitor all OnPay reviews to prevent fraudulent reviews and keep review quality high. We do not post reviews by company employees or direct competitors. Validated reviews require the user to submit a screenshot of the product containing their user ID, in order to verify a user is an actual user of the product. Hi there! Are you looking to implement a solution like OnPay?